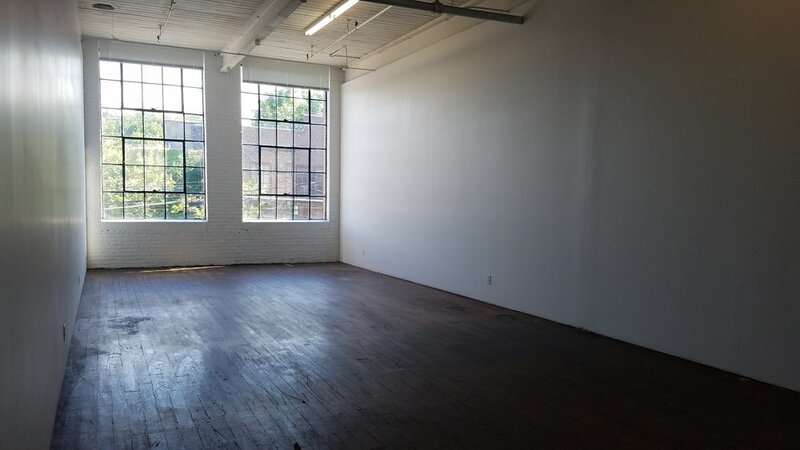 $1,100/mo - 708 sq ft two-bay, south facing studio with wood floors, ceiling height windows, 14' ceilings, exposed brick, original beams. rent includes electricity, heating, A/C, wifi. The building has a loading dock, freight elevator, gated, off-street parking and 24 hour access for tenants. contact us for more information or to schedule a visit.